Don’t get explosive! 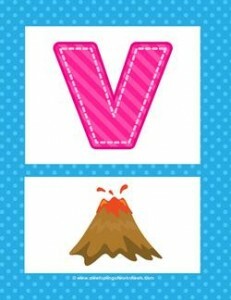 Let the volcano on this alphabet poster do it for you. Just kidding – stay calm and carry on! The corresponding uppercase V is stripey pink.